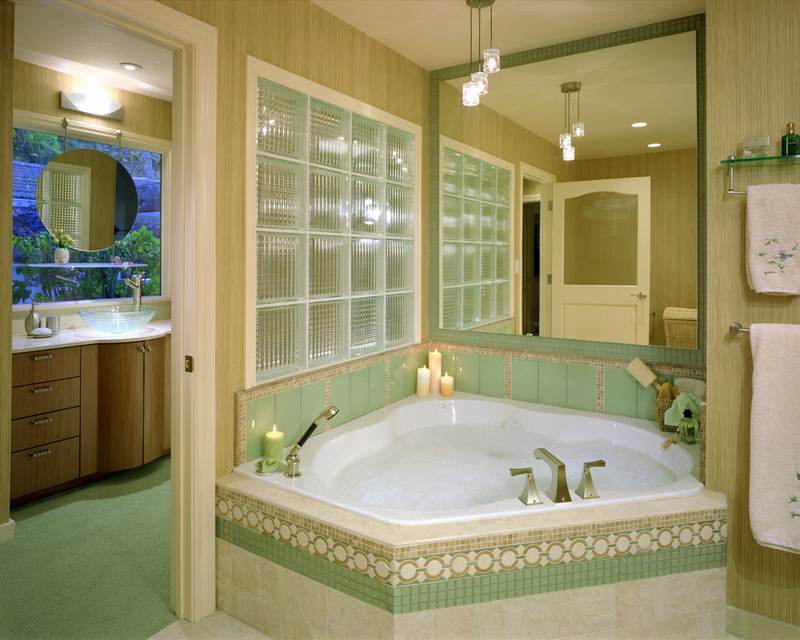 Master bath and bedroom offers couple a nurturing retreat, optimizing available light and garden views. 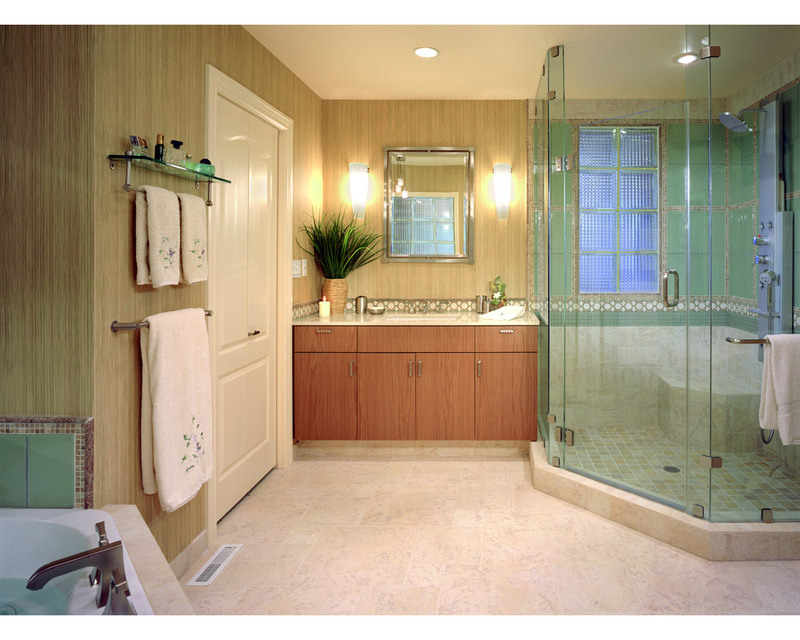 Used angled walls in unique space plan to incorporate walk-in closet in bath and optimize view of gardens. 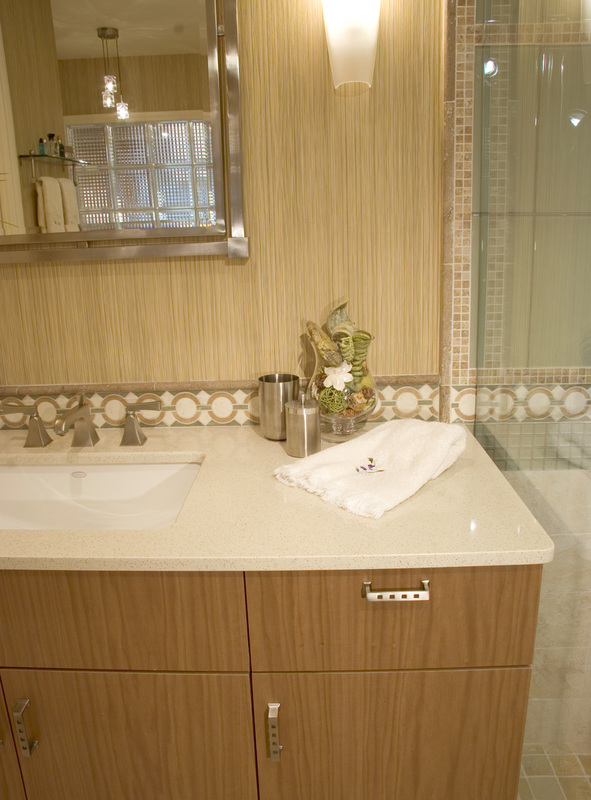 Added natural daylight into interior spaces through glass blocks, patterned glass door, and new window behind corridor vanity. 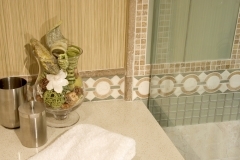 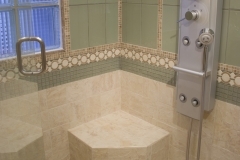 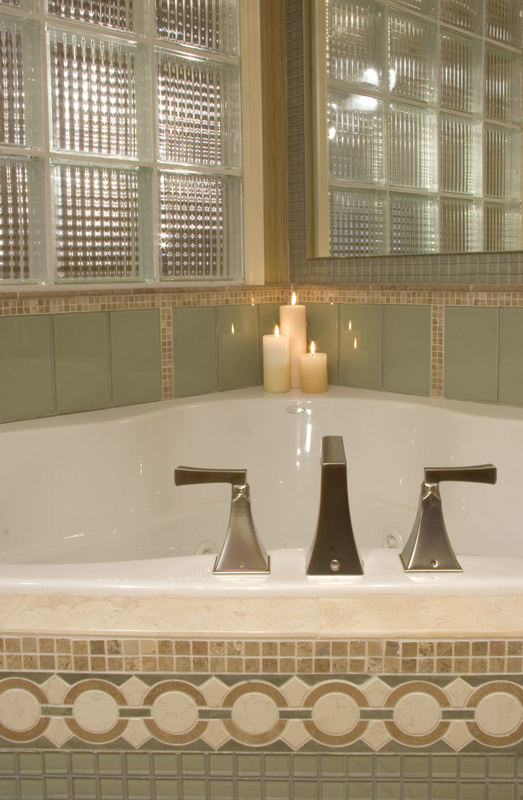 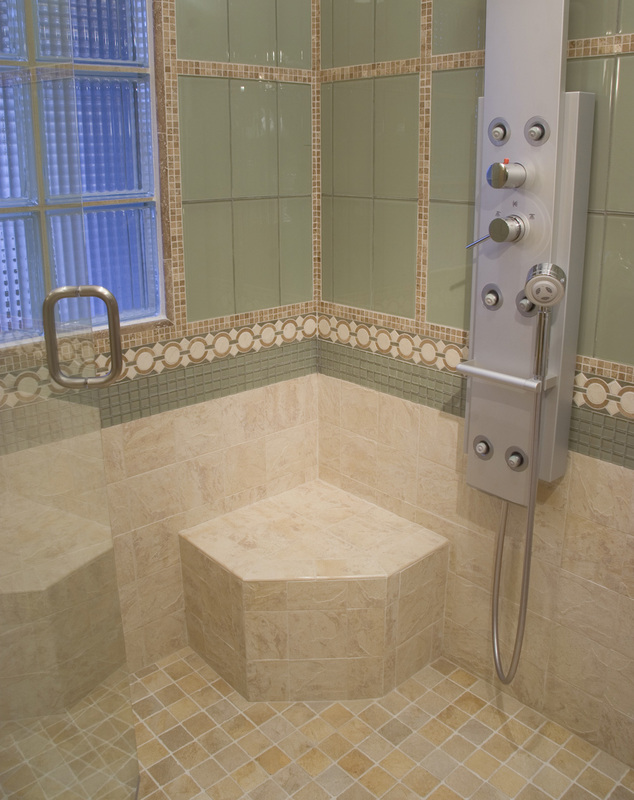 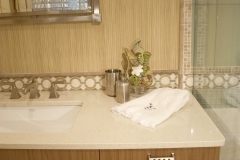 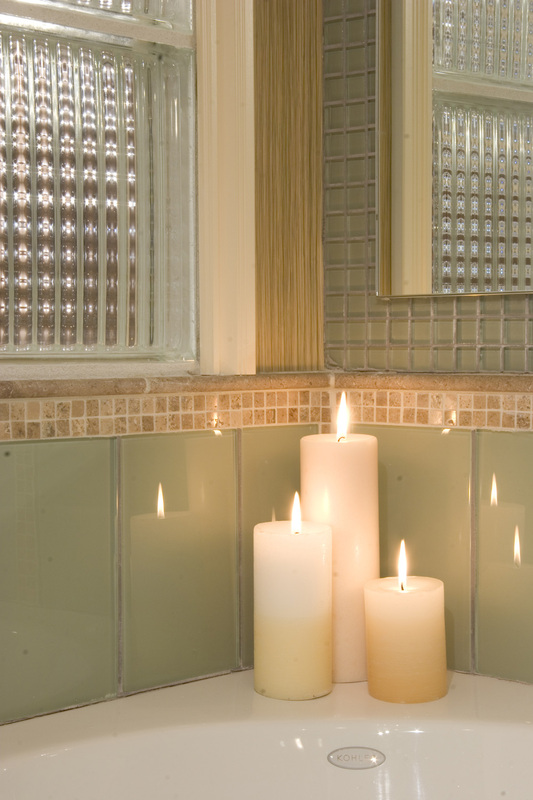 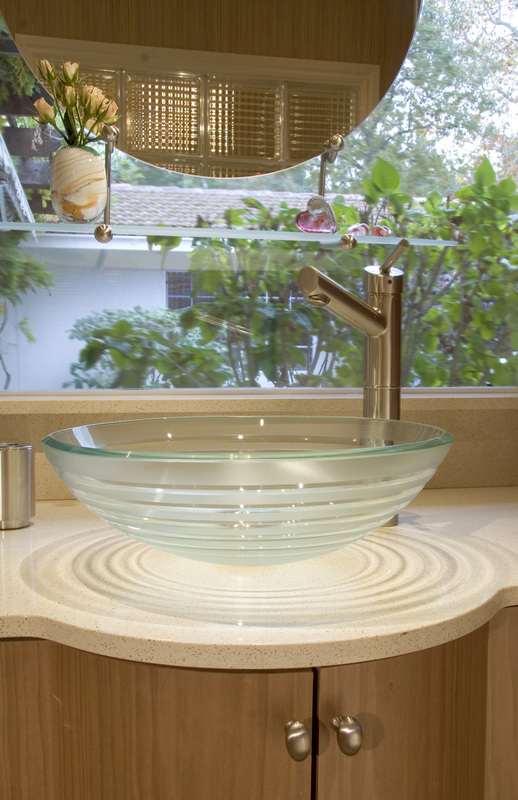 Provided therapeutic and nurturing relaxation area with multi-functional plumbing fixtures in shower and whirlpool bath. 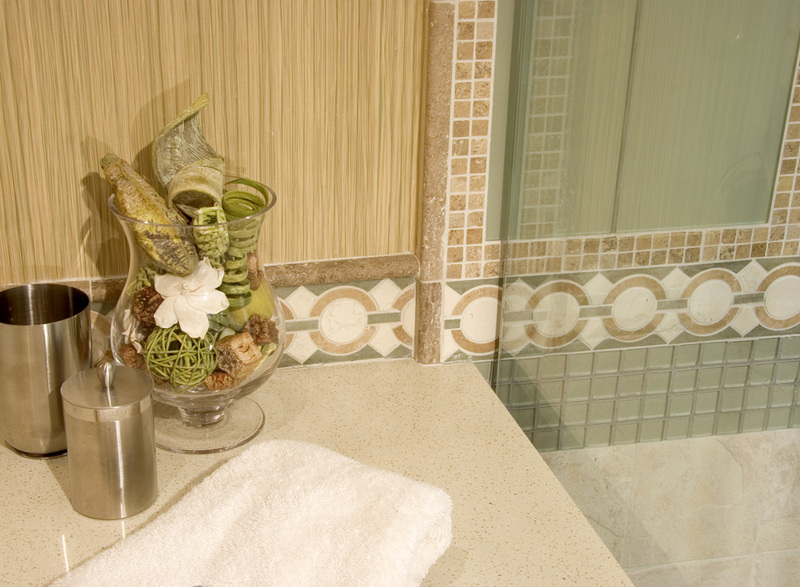 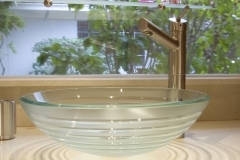 Highlighted natural textures and colors of stone, porcelain, wood, and grass with polished colored glass tiles and Zodiac solid surface countertops.